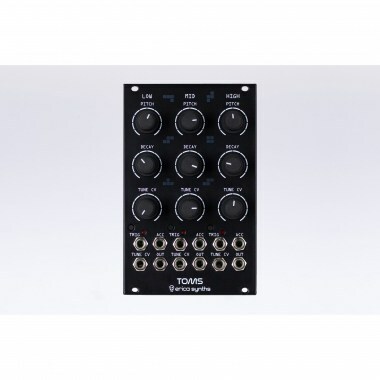 Erica Synths Toms is developed in collaboration with the French company e-licktronick and it's our take on analogue toms circuits adapted for modular systems. Massive, punchy sound, Accent and Tone CV make it distinctively expressive in studio and live performances. Eurorack модули Erica Synths Toms Вы можете купить по выгодной цене в наших музыкальных магазинах в Москве и Санкт-Петербурге, интернет-магазин, доставка по России.